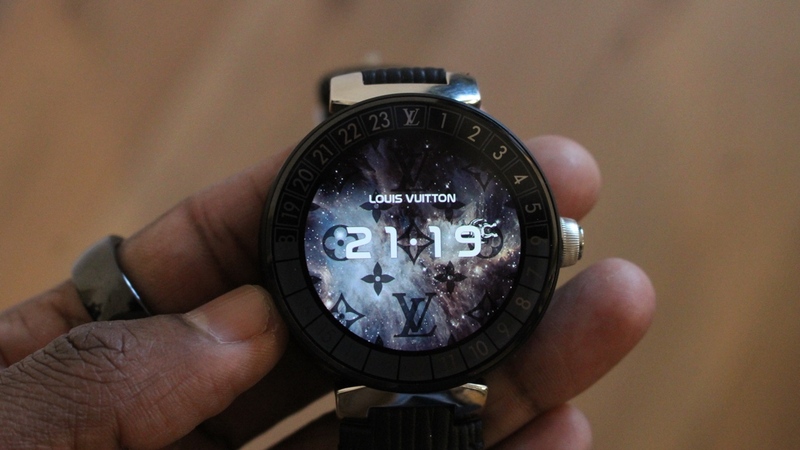 I really liked the first Louis Vuitton Tambour Horizon smartwatch. Of all the luxury fashion brands to get hold of Google's Wear OS software and try to put their own unique spin on the platform, this is one brand that did things properly. Perhaps more so than fellow LMVH brand Tag Heuer. It married that distinctive, very recognisable Louis Vuitton look with Google's operating system but also included software features that added real value to the experience of using its pricey luxury smartwatch. The new Tambour Horizon, which completely replaces the first version, appears to follow the same formula. This time it's offered in a greater variety of looks but also builds on the features that impressed us on the original. 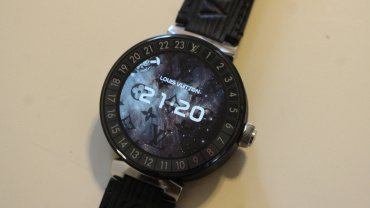 From a design point of view, I'm not surprised to see that the new Tambour Horizon largely sticks to the same formula. 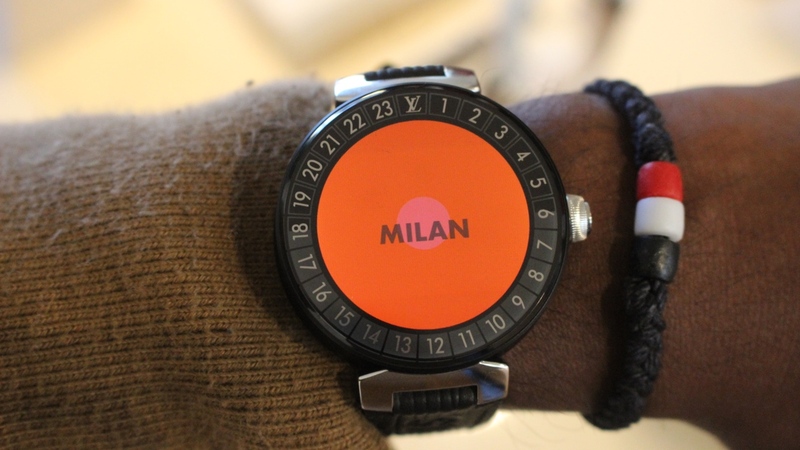 It still has a circular body that manages to mask its 12.6mm thick casing. That makes it a little chunkier than the Skagen Falster 2 in comparison, but it's not something you notice. Even on my skinny wrists. 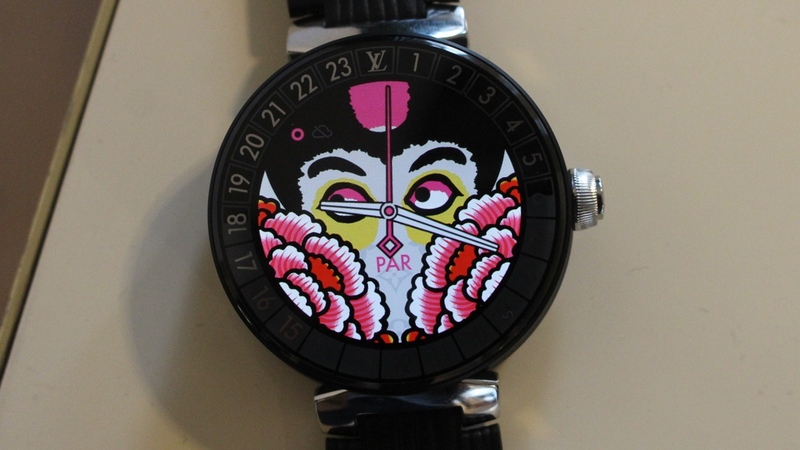 You still have the single rotating crown to navigate the software and it's now also water resistant up to 30 metres following the trend of other more fashion-focused Wear watches giving you more reasons not to take it off your wrist. It now comes in five different finishes as opposed to the three it was previously available in and the big new addition is the Pure White or ceramic model. The Apple Watch ceramic edition may have vanished, but it's well and truly present in Louis Vuitton's smartwatch collection. 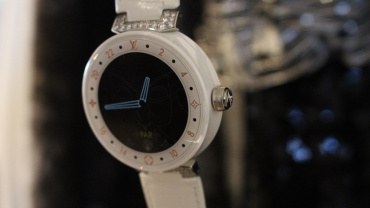 That ceramic version features 34 diamonds that largely feature around the watch lugs. While it might sound a bit on the blingy side, it's actually very tastefully done. The two versions I got to try were gorgeous watches in their own very unique way and I think even those are not Louis Vuitton fans will appreciate that. 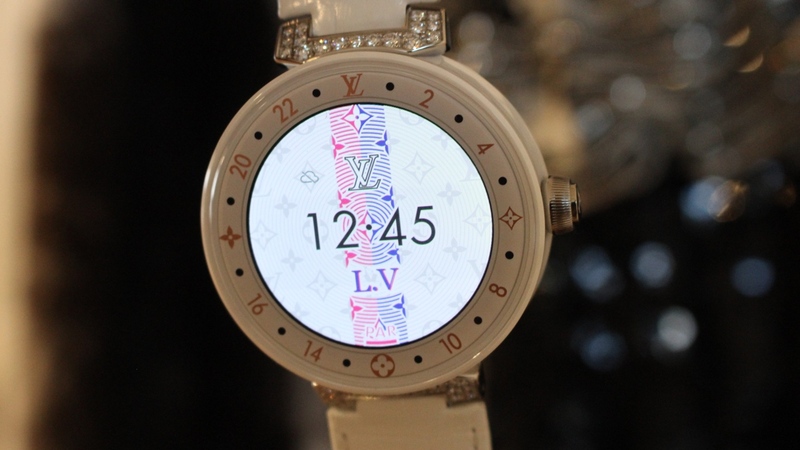 Before even delving into some familiar Wear OS surroundings, I'm immediately drawn to the new LV watch faces. 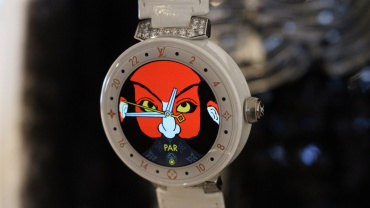 Some come courtesy of designer collaborations, others appeal to more active users (now that the watch tracks steps). 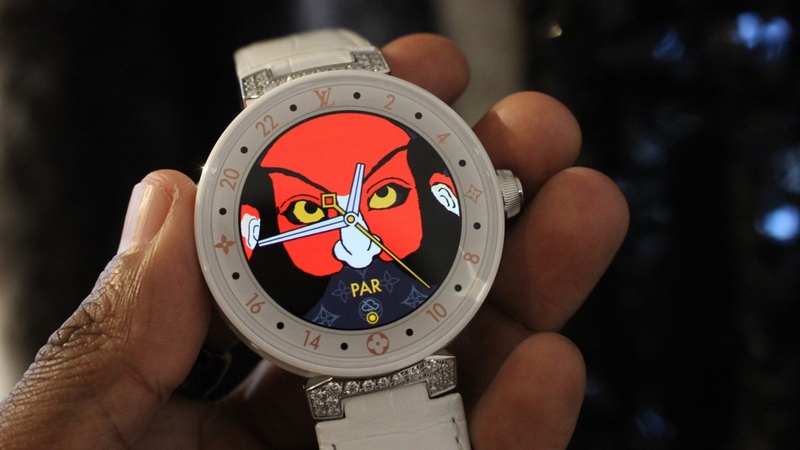 The most interesting are the faces inspired by Louis Vuitton fashion shows. 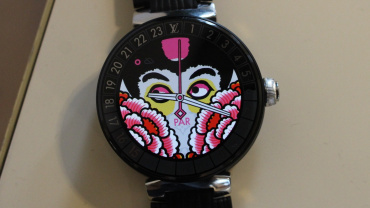 I'm told there are plans to add new watch faces incorporating distinct elements for every new show. They're fun, playful, interactive and remind me a lot of the faces included on Fossil's Kate Spade smartwatches. While the watch I had to play around with was in demo mode, I was able to get a glimpse at some of the software extras that have been added to staple Wear OS features. The My Flight app, which was designed to help you keep on track of your flight times, now extends to trains and hotels too. LV Guide is still there too and is all easily accessible from the app tray on usual Wear app suspects. One big Wear OS addition is Google Pay. The first Tambour Horizon lacked payment support, so it's pleasing to see it included this time. 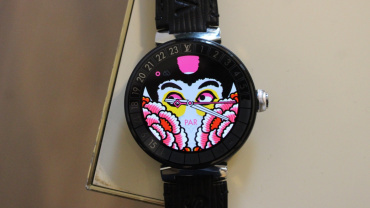 When the 2019 edition of the Tambour Horizon was first unveiled, the headline new feature was the inclusion of Qualcomm's new Snapdragon Wear 3100 processor. Along with the promise of performance improvements across the board, it's the prospect of better battery life that is the most attractive thing here. This watch should now give you a day in smartwatch mode and up to five days in a more basic watch mode. Those performance improvements weren't things I could explore in my short time with it, so that will have to wait until we get one in for review. What I can say is that the Tambour Horizon 2019 edition is that every bit as attractive watch as the first one. 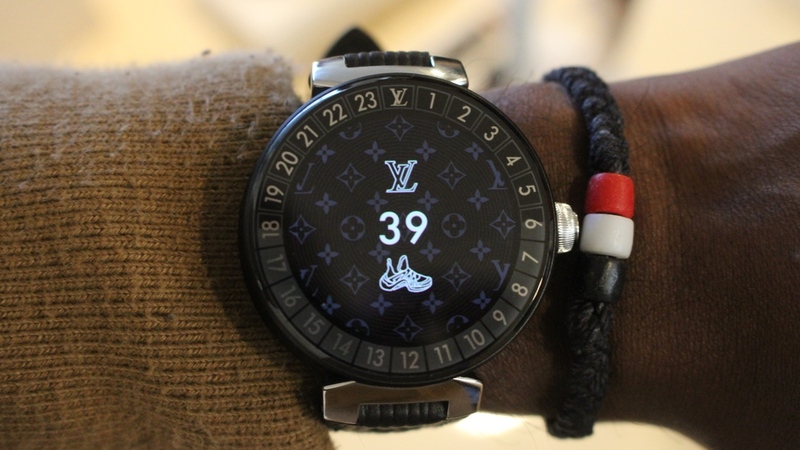 The customizable LV watch faces and apps also show that Louis Vuitton isn't just simply jumping on the smartwatch bandwagon. 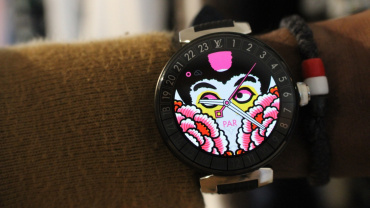 It wants to make a great smartwatch and the second generation Tambour Horizon looks set to be another great addition to the now extensive Wear OS family. How much memory? What is the battery capacity? Come on guys, these are basic questions for smart watches. Particularly on Wear OS. Great article looks like it will be a winner for the high level fashion boys and girls!! !